Promoting a super-clean hand washing in your venue is critical. 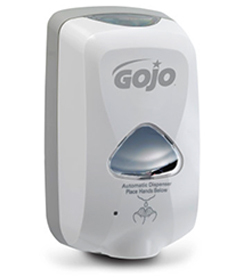 Our soap dispensers include special antibacterial surfaces that can stop the spread of germs and illness. We’ll refill your dispensers according to an agreed schedule, so all users are never without the soap they need to stay protected and clean.